The above quotation existed on the ICLEI.org website up until at least 2009. It was originally linked as a reference within the ICLEI Primer. That link no longer works on the ICLEI site but the screen shot is at the end of this article. Before ICLEI changed their name to Local Governments for Sustainability, they called themselves the International Council for Local Environmental Initiatives (ICLEI). 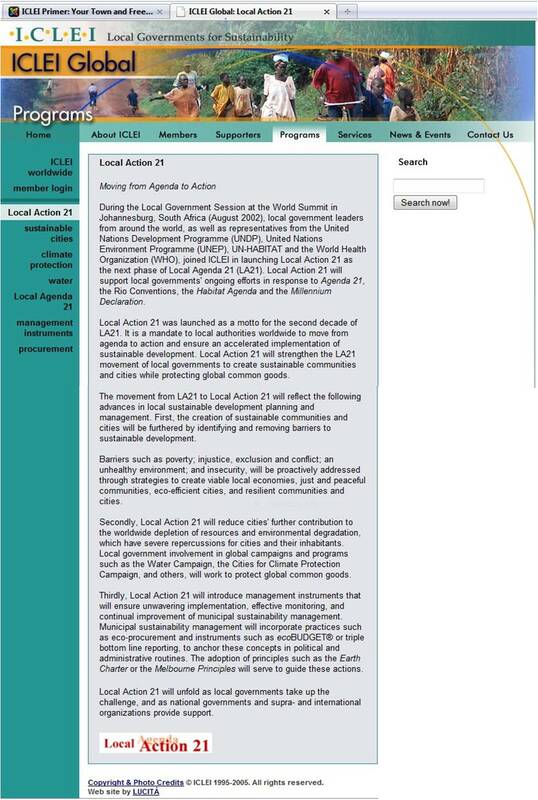 ICLEI is specifically endorsed on page 55 of the United Nations Agenda 21 document. Here is what it says in the “Promoting Sustainable Human Settlement Development” Section 1.7.21 of the original document. “When this mandate was set out in 1992, there was little information available on how to proceed. 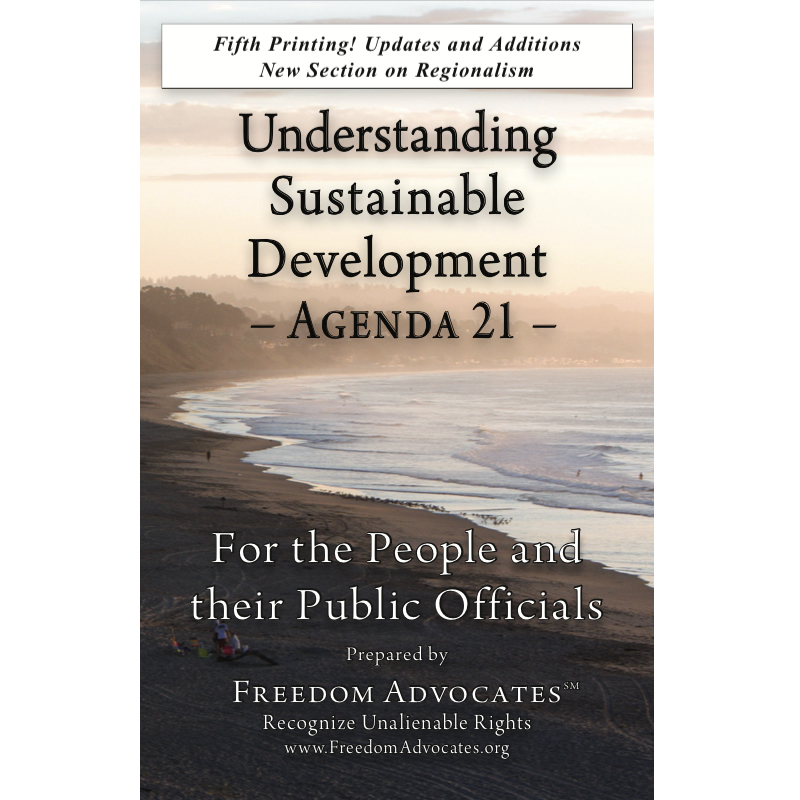 It therefore gives me particular satisfaction to report that, since 1992, more than 1,300 local authorities from 31 countries have responded to the Agenda 21 mandate by developing their own Local Agenda 21 action plans for sustainable development.